Welcome to Esecurepay 2D payment gateway providers – We are well known in the market for providing 2d payment gateway. Our approve all types of business either high and low risk. We provide our safe and secure online 2D payment gateways services at best price. We are one stop online payment solution provider for all merchants who wish to make online transactions. Our experience in this Payment gateway industry, we found 2D Payment Gateway is a very important for all business. It allows business to facilitate their customer’s with faster & convenient payment options. 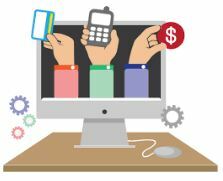 Business are generating more revenues without any hassles by using 2D International Payment Gateway. We accept all merchants from anywhere in the world. WHO CAN APPLY FOR 2D Payment Gateway? We welcomes all merchants have Bad credit and all high risk business. You can approve transactions through online for your website. We get many applications from It Support Companies and other High Risk Business companies. Most of application from India and countries were looking for our International Payment Gateway arrangements. You can get Approval Faster for any of our Payment Methods. We have given freedom to choose the solution is best for your business. With our payment plans, multiple integration options and single payments and custom designs. We can assure on 99% approval with Esteem PSP’s.